Here is what we like to run. 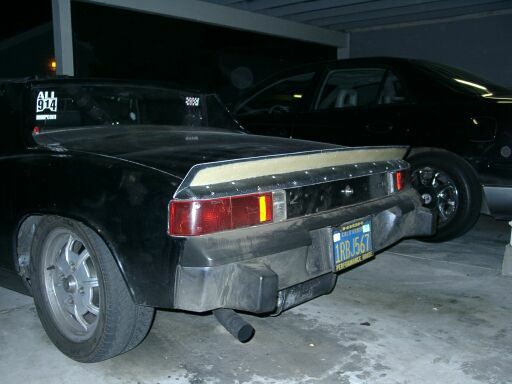 Its not SCCA ITA legal, but it is legal for his local PCA chapters. We have found the car needed a spoiler (not wing) if the car see's anything over 125mph for any length of time. The rear end becomes light and needs to have the air disturbed coming off the decklid to make the turbulence happen after the car so it doesnt wrap up underneath the rear apron. You can buy it in 3inch and 6 inch. The back is open and they fit like a glove. They where actually laid up on a rear decklid and clip. Last edited by Brad Roberts; 08-05-2002 at 11:20 PM..